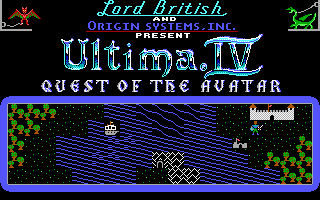 I’ve had wonderful memories when as a kid, I spent several blissful years with my IBM PC XT clone experimenting with Dos programming and played cutting edge games like Ultima IV , Wizardry, Autoduel and Star Control. The iDOS emulator ported by Fast Intelligence was able to deliver an unmatched wave of nostalgia and within a day of installing iDOS on my Ipad, I was trying out some of these classics again – mostly just to see them again in all their glory - 256 VGA colour and adlib sound. There wasn’t even a need to jailbreak to get the programs to work. iDOS 2.0.1 re-appeared on the Appstore as a free app after first appearing on 26th Oct as iDOS 1 (price $0.99) which got pulled within a day for not meeting App policy requirements. Sad to say, history repeated itself and iDOS 2.0.1 disappeared just as quickly. Thank you for creating this emulator. It shall be on my Ipad for a very long time. 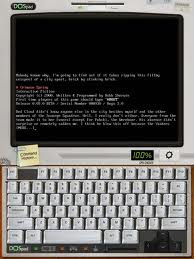 We are a small and endangered breed, those of us who were fortunate to see the birth of the gaming industry through Dos. You were never there and if you were, you never understood.